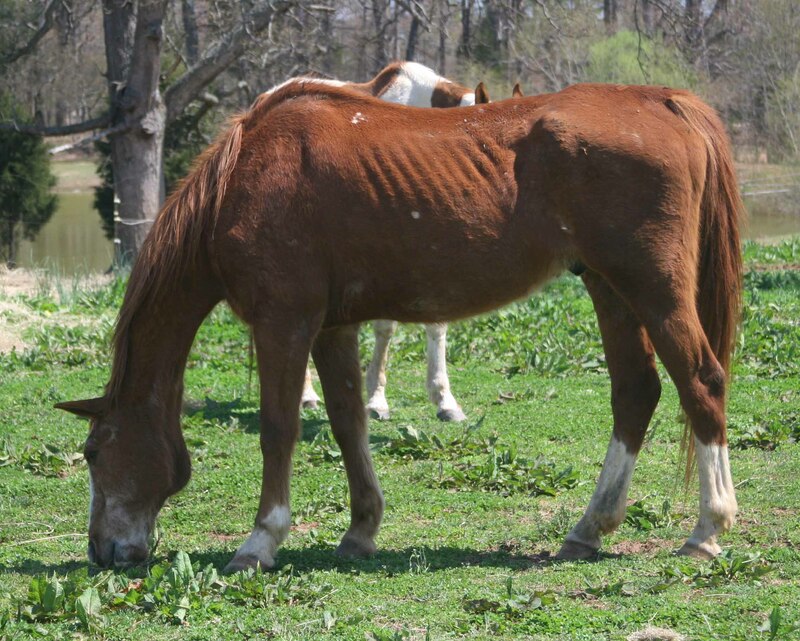 Rescue April 25, 2013 Often we get calls from individuals who are trying to rehabilitate starving horses. 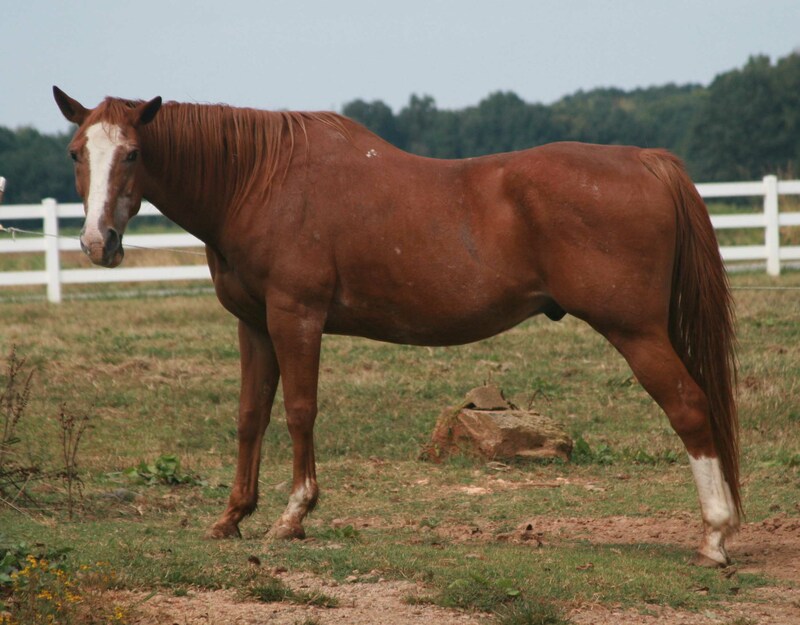 Young horses usually bounce back very quickly but older horses may have more issues. 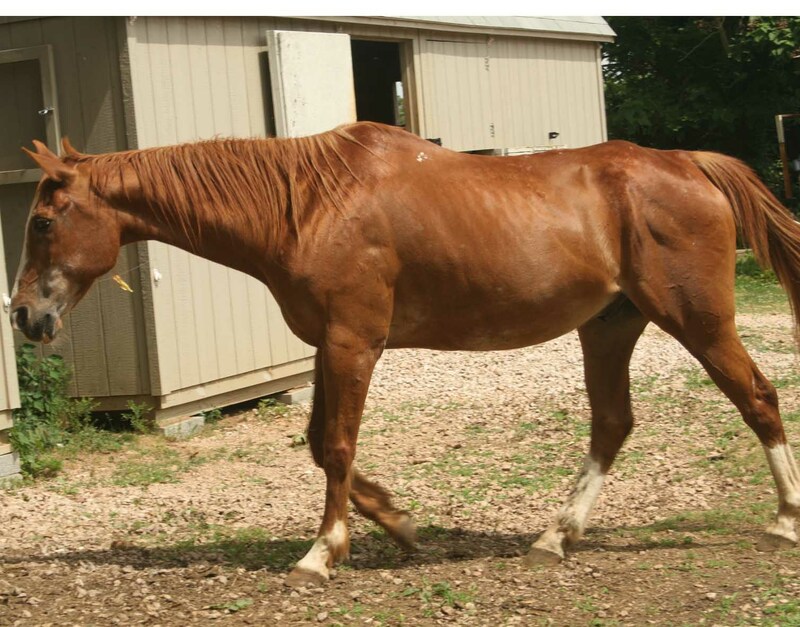 This is the case of Natchez, an American Quarter Horse gelding that came to the sanctuary in April. A woman took in two horses and contacted HPS for assistance bringing them back to health. The younger horse gained weight quickly but the other horse that the believed to be only 13 years old was only getting worse. Four months went by and the the horse was becoming worse and worse. The woman was very worried about the gelding. We would take him and try to bring him back to health. Natchez was very thin as he stepped off the trailer. He had no interest in eating hay, soaked alfalfa or feed the first day. We see this often. Horses that are not eating well have often developed ulcers. As part of our refeeding protocol all new arrivals are put on 1/2 cup aloe vera juice at each feeding. This sometimes means that we will have to syringe the juice into the horse's mouth a few times to get him back to eating again. Aloe vera juice is very soothing to the body and helps to heal ulcers. It is also more cost effective in comparison to ulcer medications. By the second day, Natchez was eating his feed. By the fifth day he was eating his soaked alfalfa. After a week, he was excitedly pawing at his stall at meal times and gobbling his food down. He has put on at least a hundred pounds since his arrival. Natchez has made friends with Pontiac and River, our two new American Saddlebreds. He has had his rabies vaccination and is awaiting dental care.